How about my two Duggar species. 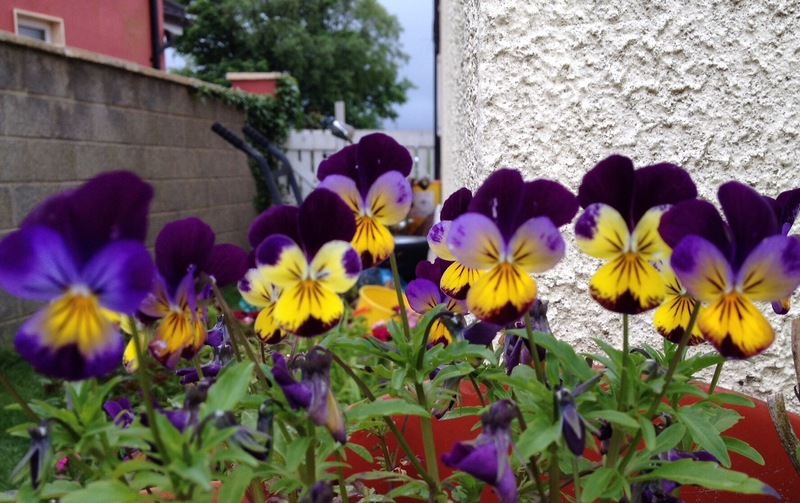 So named by me as they multiply like crazy – the violas: And the Sweet William: That’s a five-foot long shipping pallet, chock full of William. 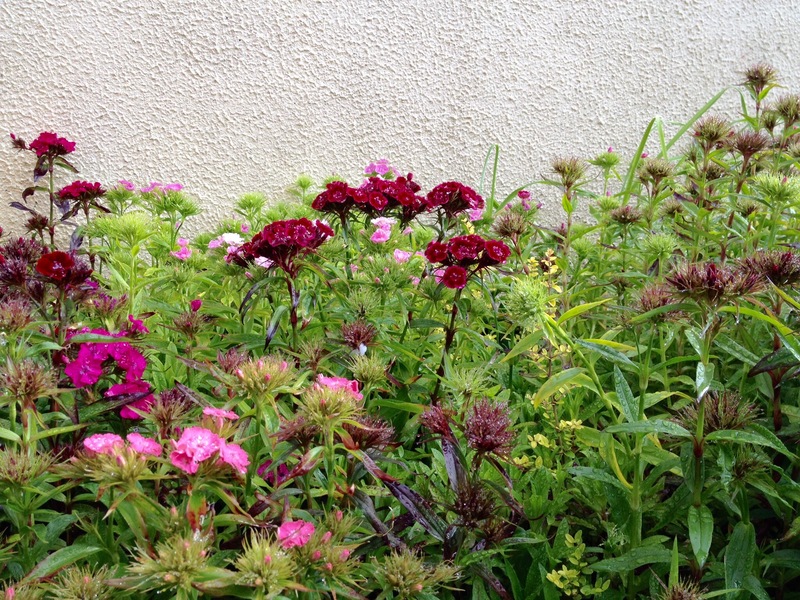 Only just starting to bloom, it will be lovely soon. I forgot what these are (again). Not as many of them this year, wonder why? 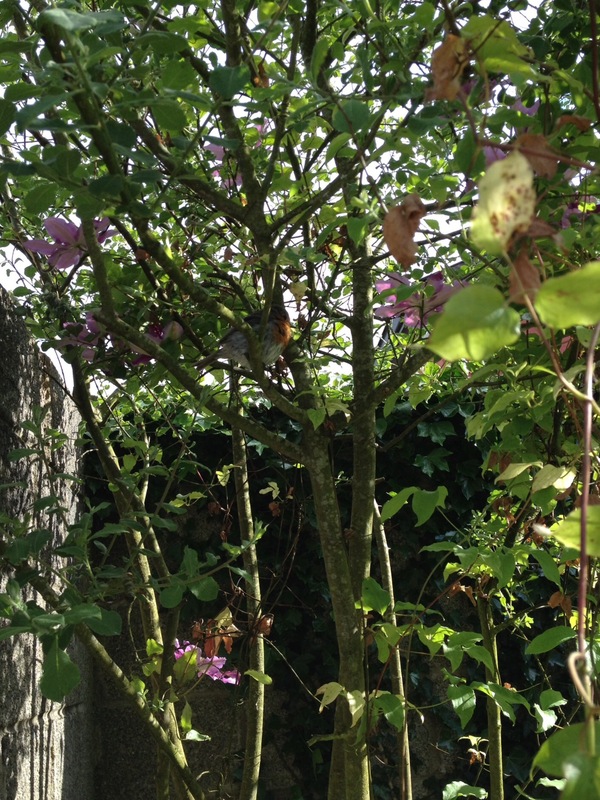 Our robin in the grey willow that the clematis is climbing up. He kept me company for hours as I was moving dirt and finding him all types of tasty bug-snacks. 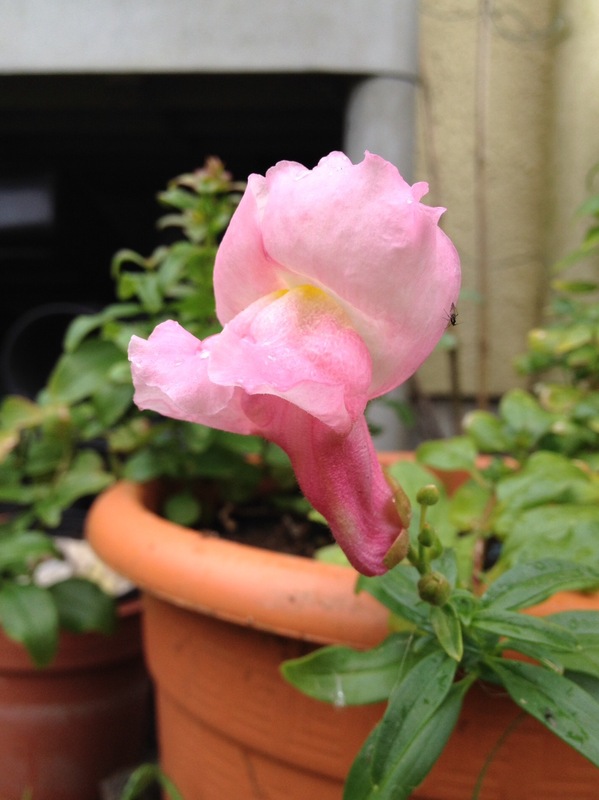 Planted this last year from seed, and over-wintered it indoors. Now what is it again… oh great, the tag I made has totally faded! Augh! Just spent about 10 minutes looking through last year’s posts, can’t find it. 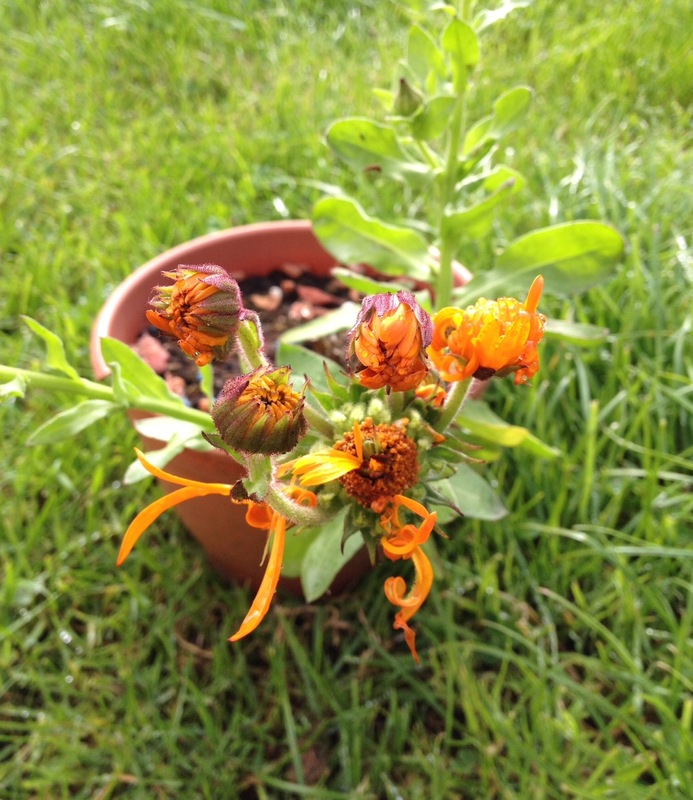 Mutant zinnia. 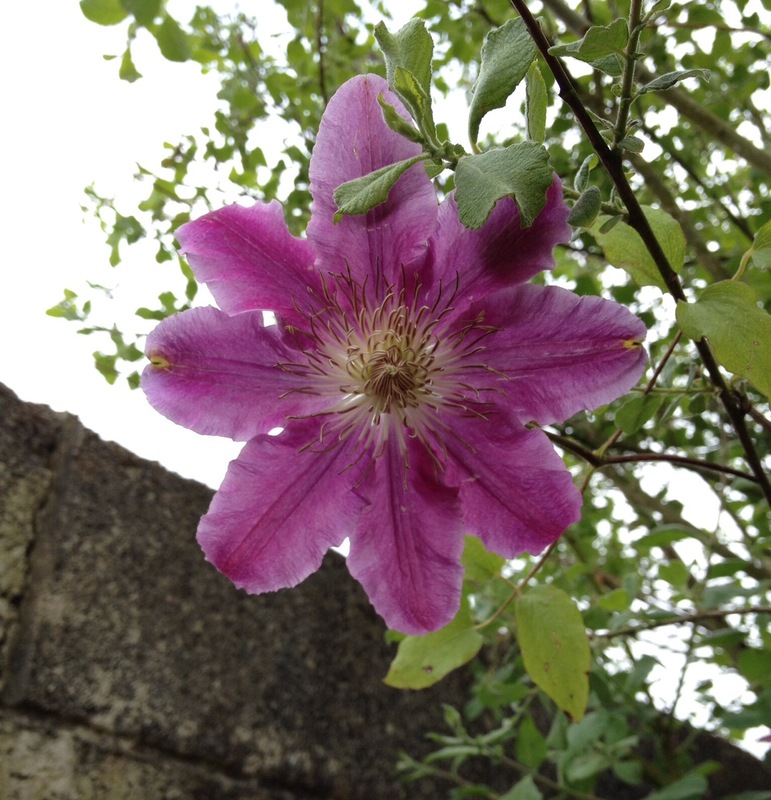 The four flower buds are coming out of the previous bloom’s base, instead of on their own stems. Freaky. 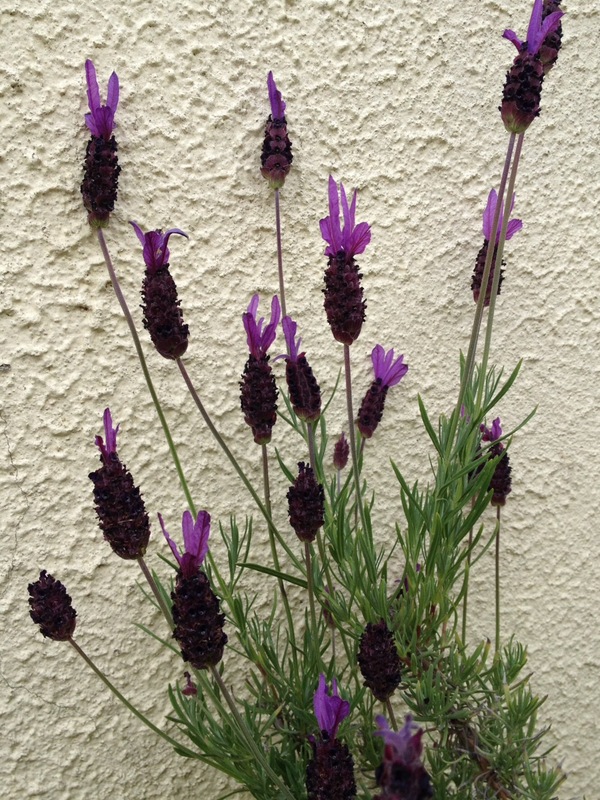 The lavender is happy this year. 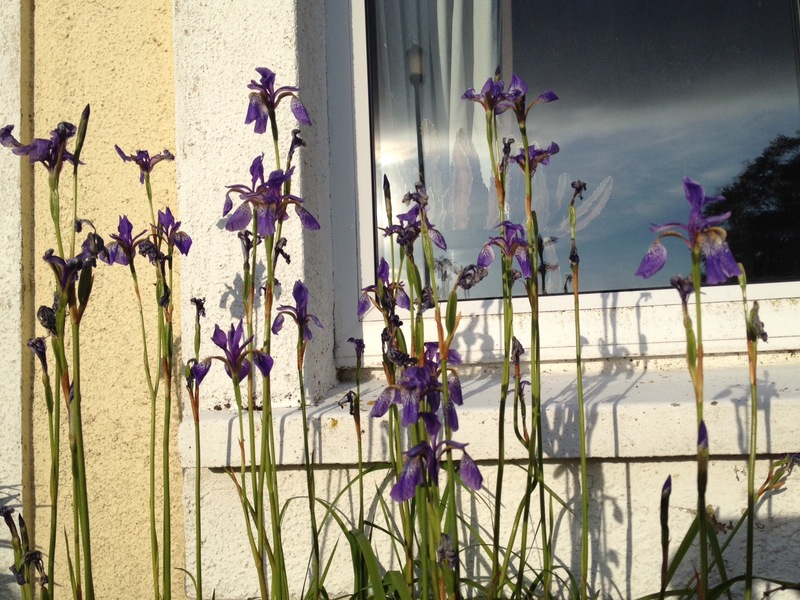 The tiny iris are happy, too! 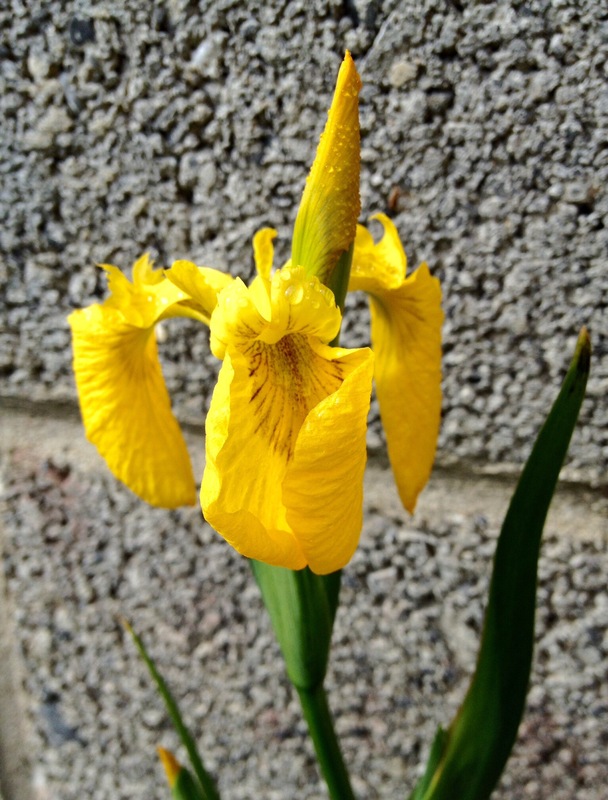 My native yellow iris (dug out of a bog) opened the first bloom yesterday. Also native – Irish common spotted orchid. 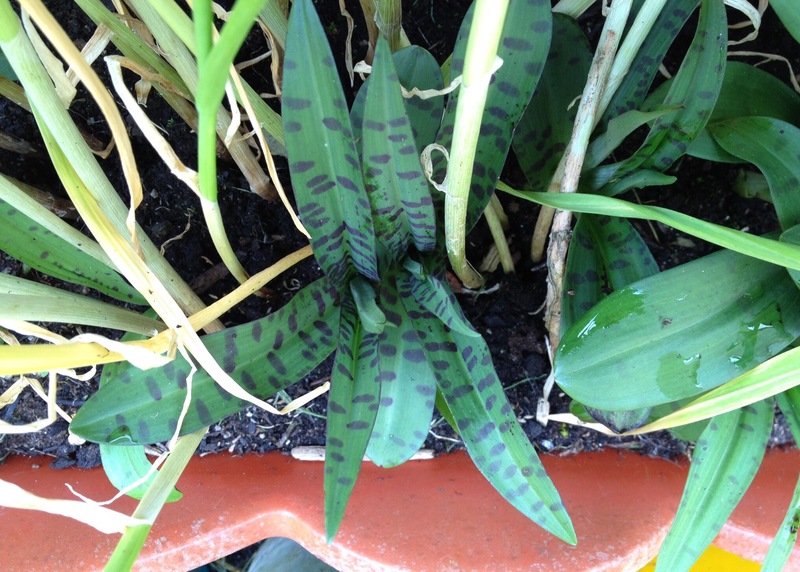 I just love the spotty leaves! 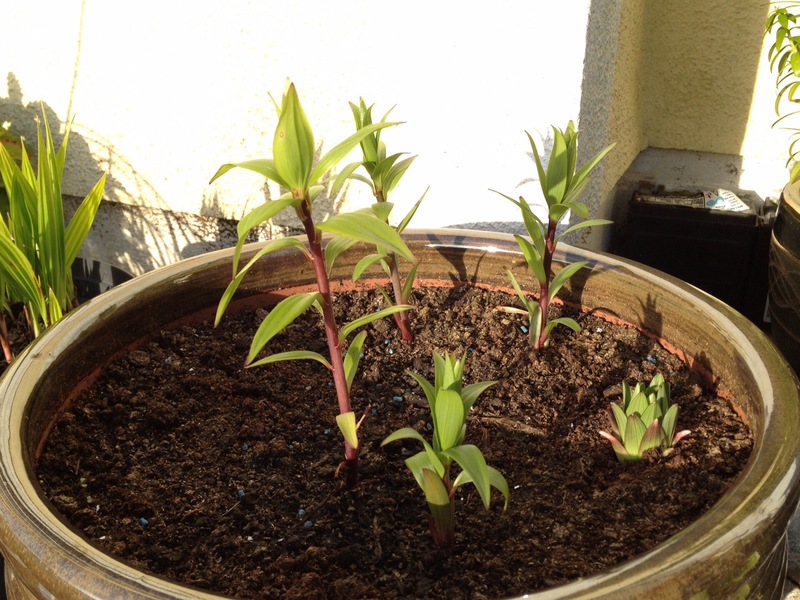 They moved in, I didn’t plant them – these are growing in my garlic planter. 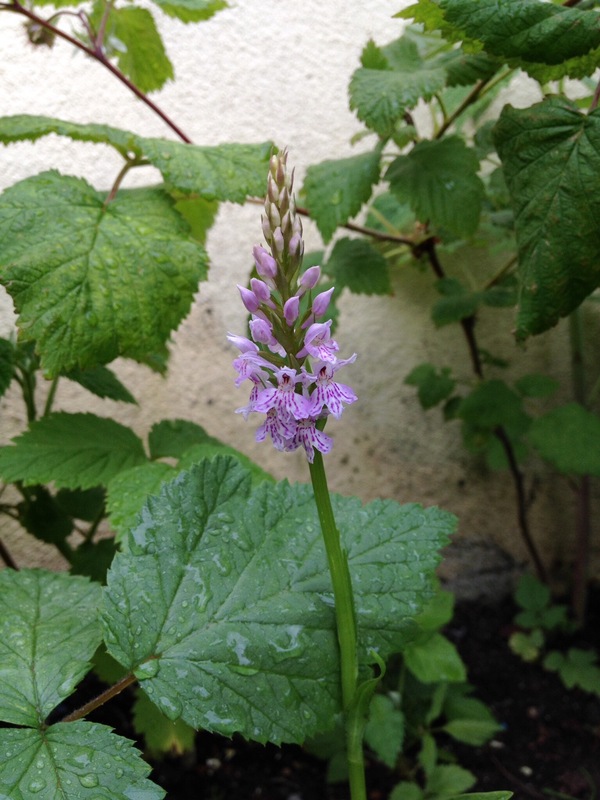 More common spotted orchid – this is the first to begin blooming and popped up in the raspberry patch. Simply gorgeous. 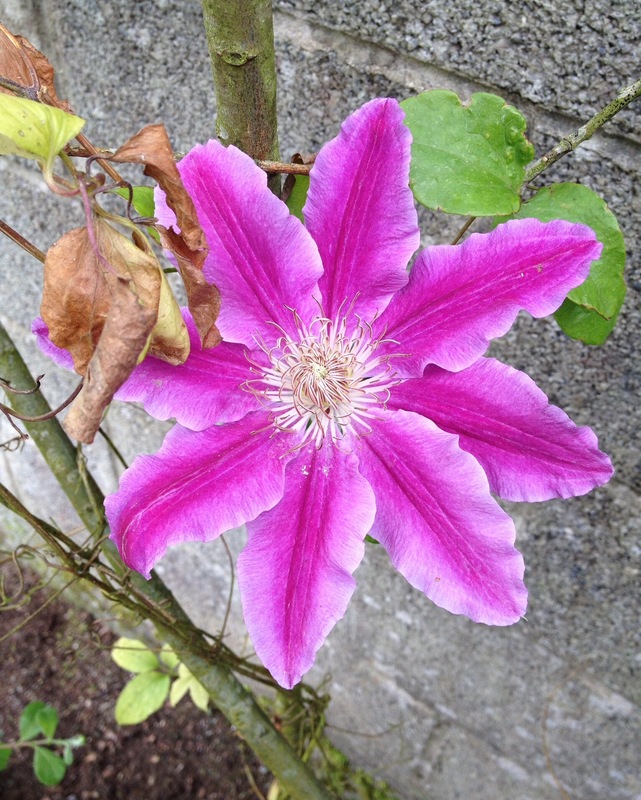 They are more than welcome to live in my garden! 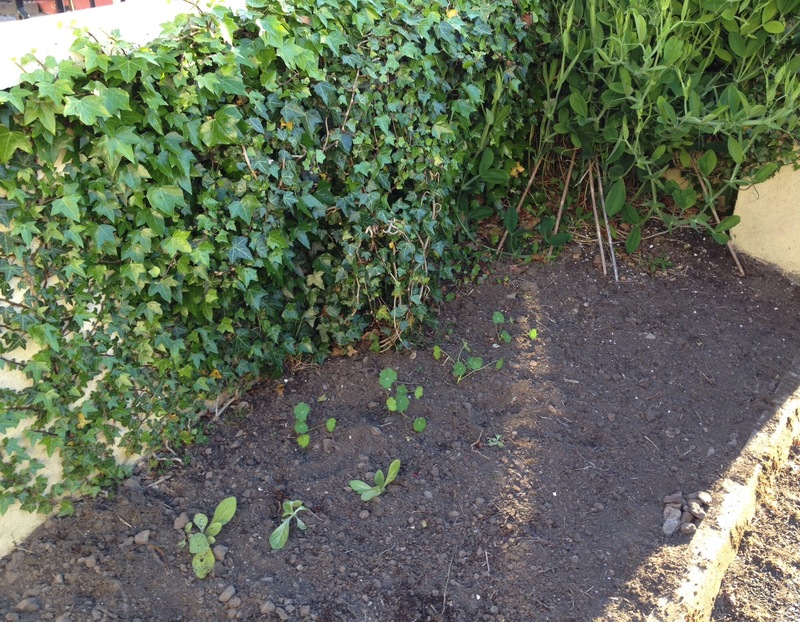 Awkward narrow strip next to the driveway – I pulled all the grass out and this ugly mess is what is left. 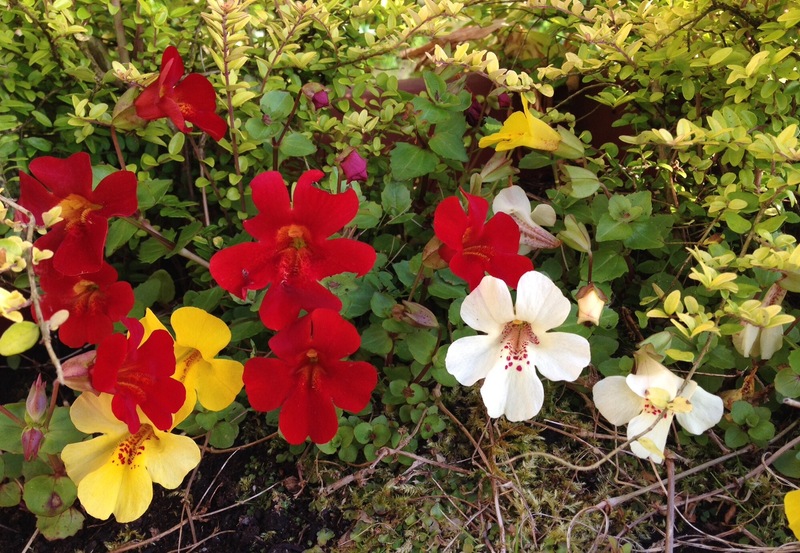 Put in some nasturtium and nicotania. 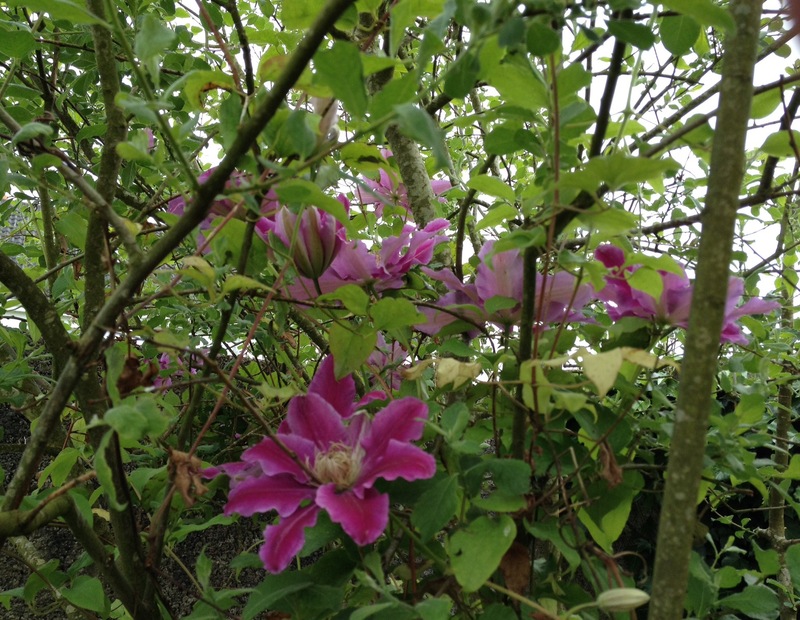 The ivy moved in on its own – bet my neighbour hates it – and the sweet pea is going gangbusters. Trying to get it to go over the front wall instead of falling into the driveway this year. Wish me luck! The new ALDI bulbs are coming up! 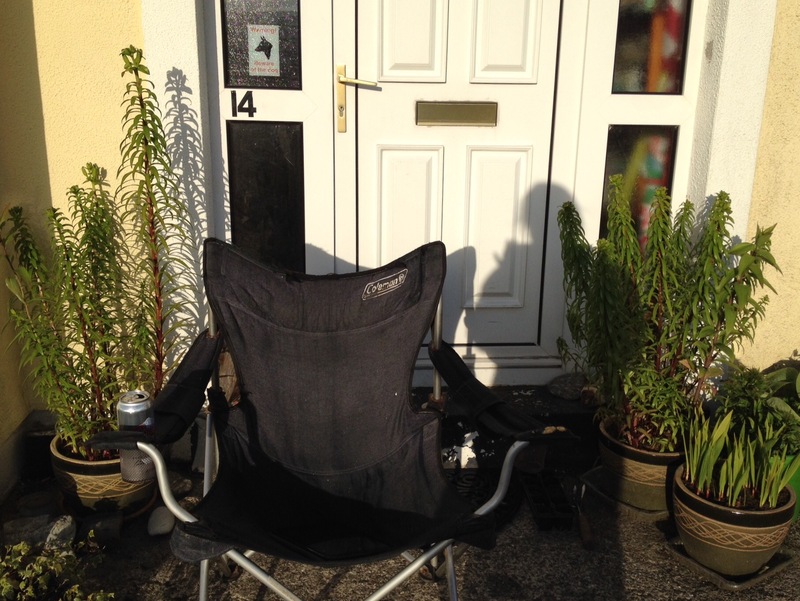 My front door – white-trash alert! Taken to give the size scale of the black lilies and stargazer lilies, which are well established compared to the new guys. Guess what is in the pot to the far right? TIGRIDIA!!!! 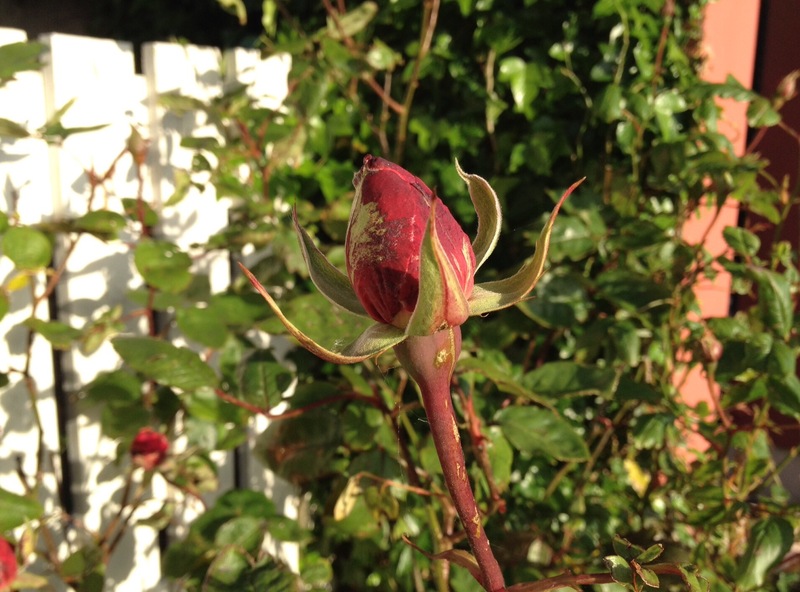 Finally, a rose bud. Lots of buds but none open yet. So, last post I mentioned our robin. He does flit between a couple of houses in the estate, so this is his territory now and has been since last autumn. I postulated on if he had a girlfriend, because there was another robin hanging about. I thought he might be gay because this other robin looked the same, just a bit more shy and hungrier. Google to the rescue! The male and female look the same, which was a surprise to me. She will likely sing less, or not at all, or not as loudly. I’m still having trouble deciding who is whom. In any case, they both are around all the time. Thursday, I noticed that there were a lot of dead strawberry leaves in the grass right next to the patio. I picked them up, thinking that I must have not gathered them all up when I cleared out the strawberry patch the weekend before. Friday, there were more leaves. I was baffled as it hadn’t been windy, and why were they all piled up in one place? I picked them up again and into the compost bin they went. Yesterday morning, early, there were yet more leaves. Then I remembered that there are starlings above the roll-up door at work, and they leave a huge mess of sticks and whatnot on the asphalt. So l looked up from where I was picking leaves and was literally face-to-face with our Hoselock hose reel. I cannot roust them. Just can’t. We will continue our normal activities, and according to Google, we should get our hose back in about 6 weeks after eggs are laid. Then I’m turfing them out and taking apart the reel to clean it – we got a 40-meter reel for a reason!